A Conversation Piece by Umage is an armchair with a delicate and soft design made from detailed production and high-quality workmanship. 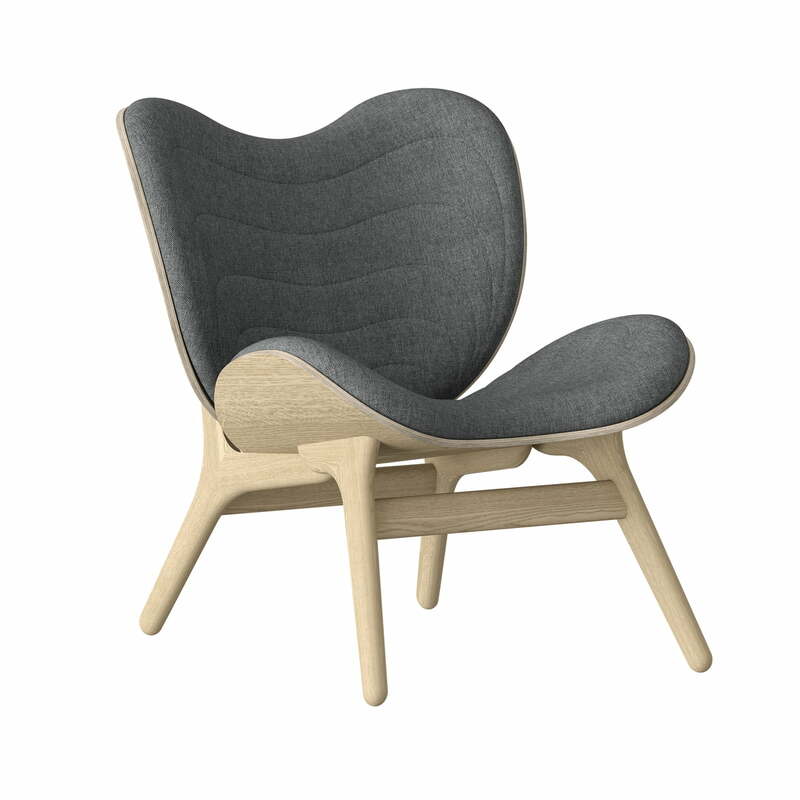 It is the perfect chair in which find peace and tranquillity, to relax and reflect. Several tests were led to determine the correct angle and width for maximum comfort while sitting. 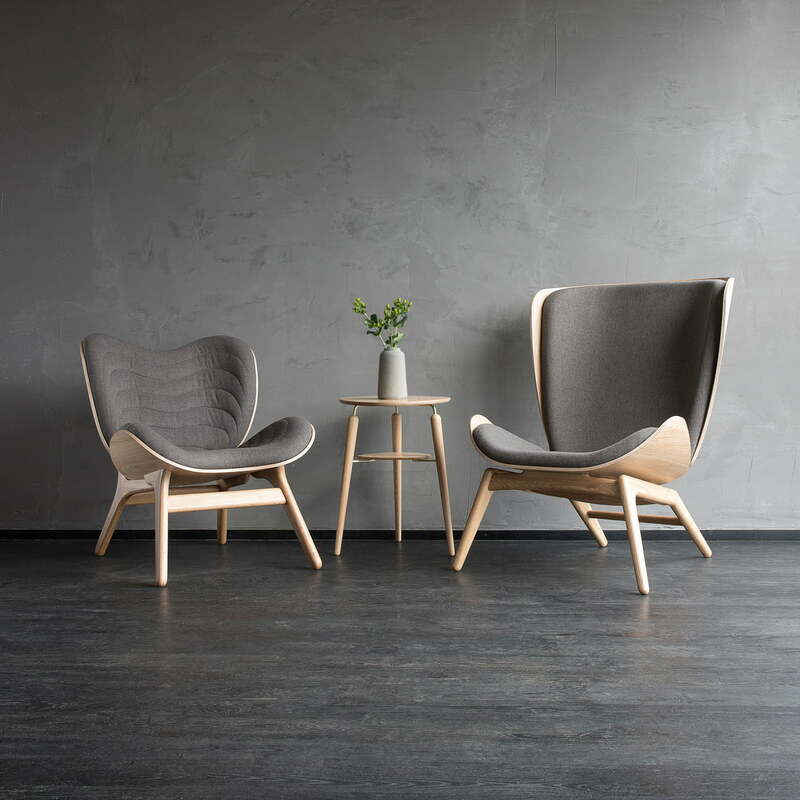 A Conversation Piece by Umage is a comfortable armchair that combines traditional woodworking techniques with modern production technology. A solid frame made of oiled oak reveals the grain of the wood and emphasises the use of natural materials. 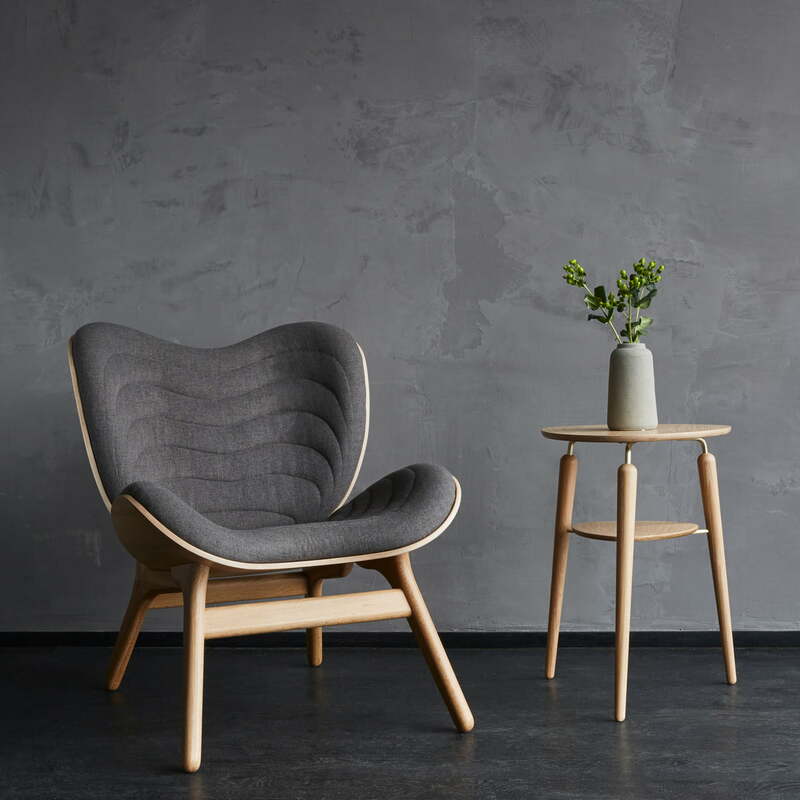 Carefully selected Scandinavian colours and fabrics for the upholstery complement the natural wood of the oak. 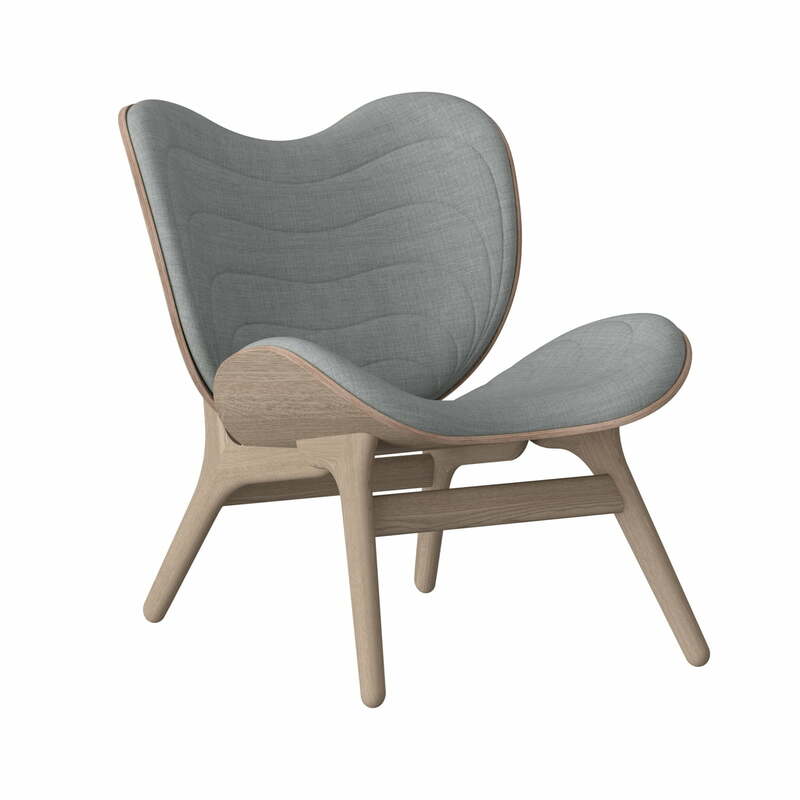 The attractive silhouette of the chair with an interaction of defined curves is inspired by the free-flowing organic furniture from Scandinavian design history. 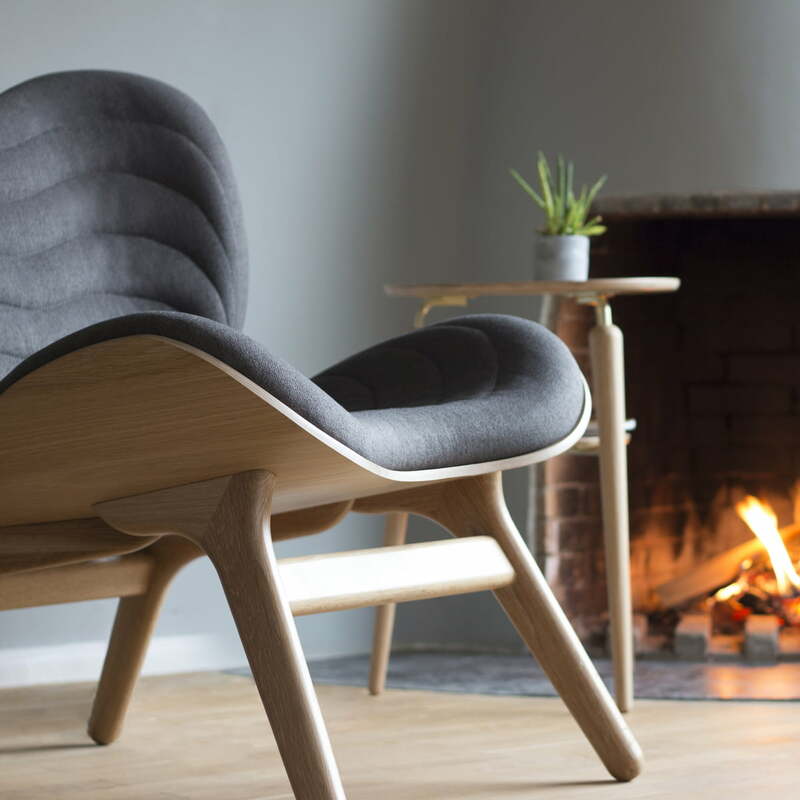 The comfortable armchair was designed by the Danish designer Anders Klem. A Conversation Piece is ideal in the living room, as a reading chair or as a stylish feature in the lounge area. Its compact and convenient shape is suitable as a great eye-catcher in the bedroom or children’s bedroom. Thanks to its strong, robust construction, it also fits in perfectly in public areas such as a waiting room, lobby or reception. 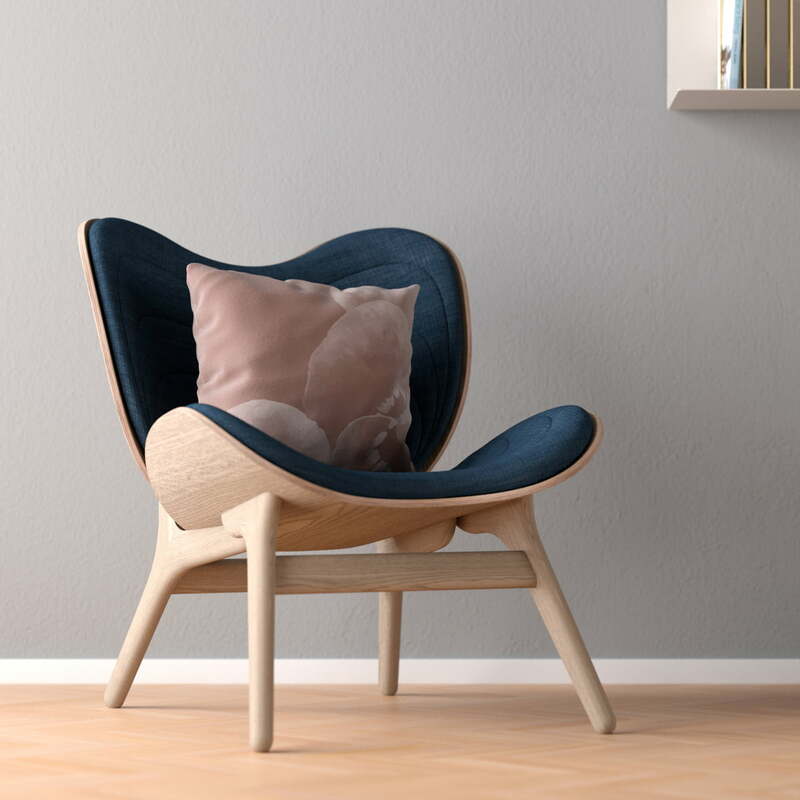 The Umage - A Conversation Piece Armchair with Need a Hug Cushions. Together, a stylish and comfortable ensemble is created that invites you to relax.